Luxurious and plush, the Sephora Mattress from Sanya Sleep is the best innerspring you can find - a hybrid that offers great support with a cushy 4" of memory on top. 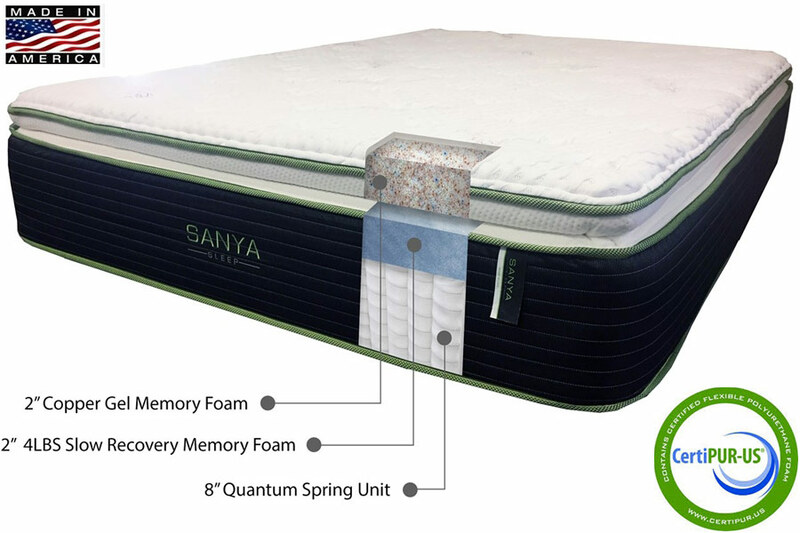 This queen memory foam mattress is made in the USA with wrapped 8" Quantum Edge 344 Bolsa springs as a stable, supportive base. Dual 2" layers of memory foam on top add high-end quality and temperature regulation, ensuring a cool night's rest. 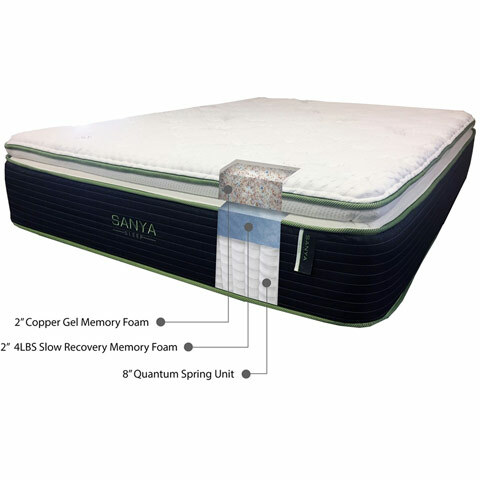 Copper infused gel memory foam pulls body heat down and away while you sleep, while the 2" of slow recovery memory foam give you the softness you love from "traditional" memory foam. Sephora's wrapped coils eliminate almost all motion transfer, but still give you that "bounce" you love.